I always thought I was a one apple girl. I’ve never been a huge apple fan, but when eating a fresh, raw apple it could only be a Golden Delicious. Every year my junior high class sold Red and Golden Delicious. The red ones always reminded me of the apple that Snow White took from the witch, so, no thanks. But, those green/gold ones were both cute and tasty. A couple weeks ago I was in Food Lion and hungry. Normally at that point, I take one of two paths. 1.) I buy all kinds of gorgeous candy and baked goods which I either open and begin eating inside the store, or tear into once I get to the car. But I always end up in a bloated shame spiral. Or 2.) 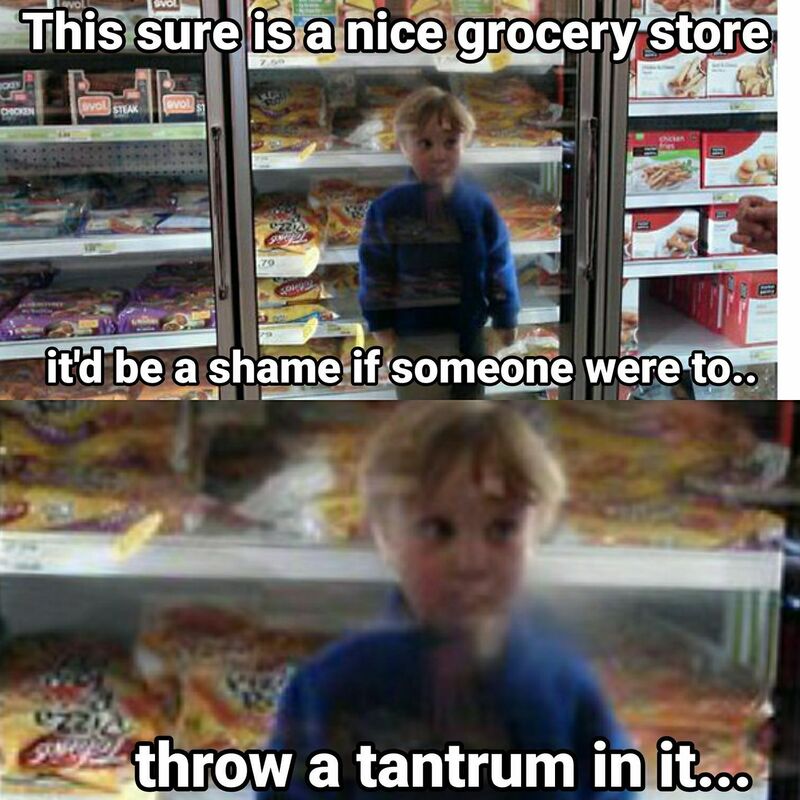 I walk around, getting grumpier and grumpier, all the while those beautiful sweet treats become, in my sugar-deprived mind, more and more healthy, and less and less caloric. This time, for some unknowable reason, I bought apples. Like a dozen of them. And each evening for the next few days, I’d cut them up, and Petey and I would eat them. When we ran out, I even bought some more. I was really liking them. Then one day I went to get more. And they were out of Golden Delicious, so I bought the new variety, Honeycrisp. They were really good, you guys. They’re crisp, lightly sweet (hence, the honey & crisp for their name, I guess), and have almost an effervescent quality. 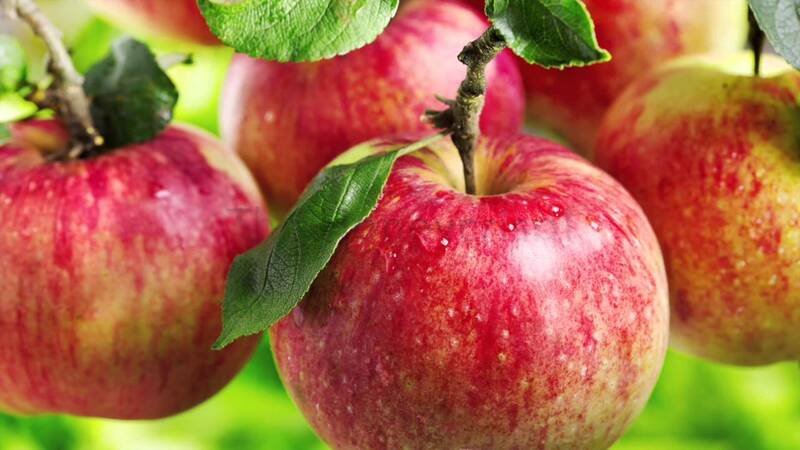 And, for an apple, pretty darn interesting. They are a little on the pricey side. The lowest I’ve seen them is $1.97/pound, and I’ve seen them as high as $5. But they’re not expensive because they’re trendy, new, and in demand. Honeycrisps bruise easily, so they must be handled carefully. The price we pay includes all the apples that were too damaged to sell. They can only travel so far safely, so the west coast orchards, which produce much more apples, supply the western half of the country, and the east coast is serviced by east coast orchards. And the most interesting factor of a very interesting apple; most varieties are picked and placed directly in cold storage, waiting for transport. Honeycrisps must spend a week or so in a halfway house—cool, but not as cold as cold storage. Which means the farmers have to outfit their operations with these previously unnecessary “Goldilocks” coolers. 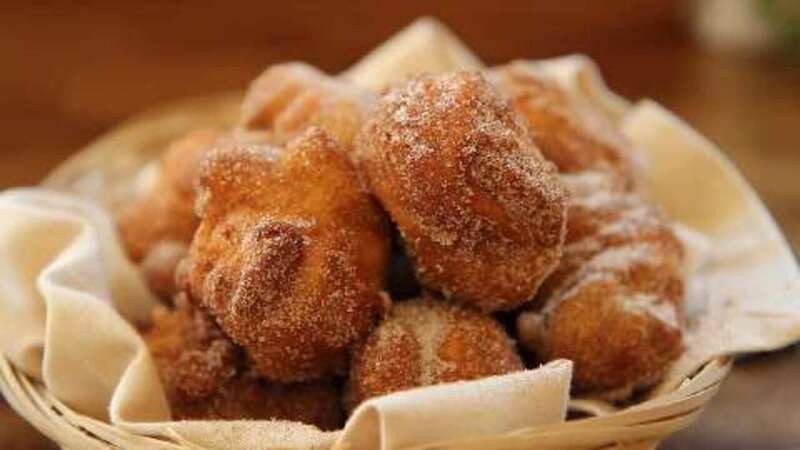 When I was in high school, my friend Cheryl’s mom used to make these amazing fritters as a treat when we weren’t being especially annoying. Without using a recipe she’d whip them up in mere minutes. DIRECTIONS: Heat oil in large, heavy pot to 375 degrees F.
In large bowl, stir together flour, sugar, baking powder and salt. Pour in milk, eggs, oil, and vanilla. Mix until well blended. Add apples; stir until evenly distributed. 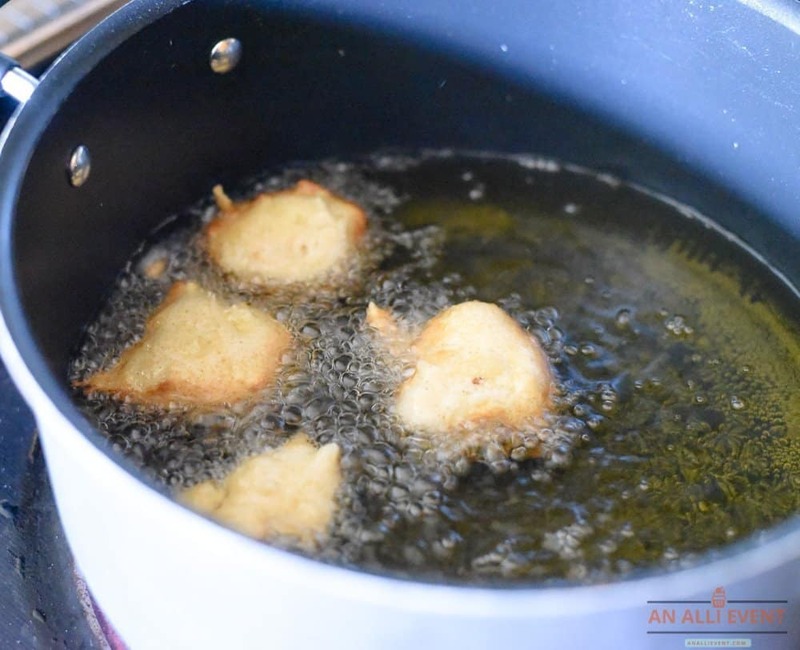 Drop spoonsful of batter into hot oil and fry until golden, about 5 minutes. Fry in smaller batches so they’re not crowded. Remove using a slotted spoon and drain on paper towels. Toss with cinnamon sugar while still warm. They say an apple a day keeps the doctor away. If that’s true, I will never be sick again. My immune system could probably cure the people around me. I may even live forever…as a superhero. I’m thinking maybe the Apple Avenger. Thanks for your time.